The curator Kathrin Rhomberg will take charge of the Erste Group art collection as the new chairman of the association “Kontakt” for a period of three years with possibilities of prolongation. Rhomberg was born in 1963 in Bludenz. She studied art history, classical archeology and journalism in Salzburg. From 1990 – 2001, she was the curator and director of the Vienna Secession. Together with Francesco Bonami , Ole Bouman and Mary Hlavajova, she curated the Manifesta 3 in Ljubljana in 2000. One year later, she designed the project ” Tranzit ” for the promotion of arts projects in Central Europe for the Erste Bank together with Maria Hlavajova. She was the Managing Director of the Cologne Kunstverein between 2002- 2007. In 2010 she curated the 6th Berlin Biennale. 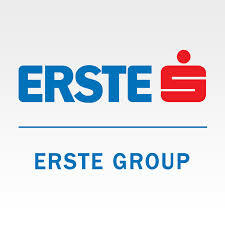 The Art Collection of Erste Group and Erste Foundation was founded in 2004 and is dedicated to conceptual tendencies in contemporary art in Central, Eastern and Southeastern Europe. Currently, the collection comprises of around 720 works by over 90 artists from 14 different countries . So far, about 100 works from the collection were exhibited around the world.